Simply, we make sure you and your students come first. That means sometimes things are a little harder for us but better for you and your students in the long run. If you ever need to leave us, we'll make it easy. Just download your data. We'll even help explain how it was stored, and hope to see you again. All data remains the property of you and your institution. At no time will we use your student data except to serve you, even if you leave us. No newbies on the phone! Our tech support people average over 10 years of experience helping TRIO staff like yourself. Just pick up the phone, we're not counting calls. We'll be there when you need us, no matter how often you call. The number is (800) 801-1232. We work with you, even if you’re late on an invoice. Even if you lose your grant, we’ll keep things running so you can finish your Annual Performance Report. We have the options and security your IT department wants to see. We’ll even let them host SA Online at your campus on your servers. You don't even need an App. 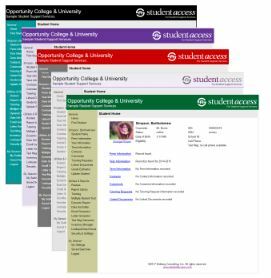 All StudentAccess features, functionality, and data are easily accessible on your favorite computer or mobile devices. Questions? Call us at 800-801-1232. Our Annual Performance Report Generator (APRG) is the product of working with TRIO for twenty years. We know the APR. It doesn’t matter if you do your data entry throughout the year, or start late in the game. You can access the APRG editing features throughout the year, updating student data in a quick and easy format all on one screen. Don’t worry about software updates—we do all that behind the scenes for you. We do our best to anticipate reports that you might need. Our Report Library has standard reports for program numbers, student data, and contact analysis. But sometimes, you just want to generate your own reports. Our Dynamic Report Generator (DRG) and Raw Data Exports let you do just that! 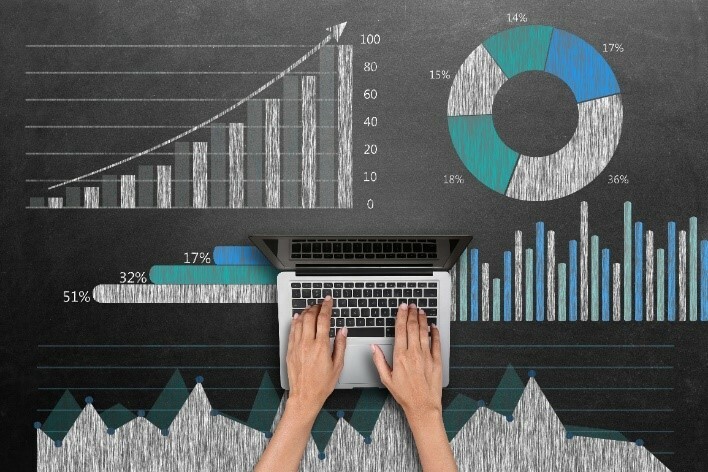 You select the information you want to build your own reports. You can use the DRG to create reports and export them to an Excel spreadsheet to get exactly what you need! Colors are important. They impact your mood, and help set your state of mind. They create a sense of connection or possibility. The Page Theme feature gives you the ability to change the colors on your StudentAccess site. Assign colors to specific grants or show your college pride! We know how important it is to stay connected to your students. Whether you’re working from your office or at an offsite location, StudentAccess has you covered. The Letter, Email, and Text Message generators keep you in contact with those who matter most, your students. Use these generators to reach out to a group of students, or one student at a time. Stay connected, and never be out of reach from your students. Scan, upload, take a picture, then save it in StudentAccess. 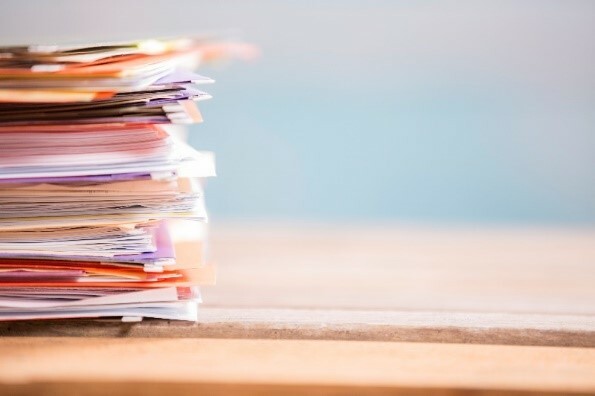 It’s easy to accumulate information about your participants, and Linked Documents makes it easier for you to keep track of those important documents. Transcripts, signed PDFs, application forms and many other documents are often gathered throughout the year. Now saved, and available wherever you are and whenever you need them. The Multiple Student Tool (MST) is a great feature created by customer feedback. Whether it’s adding multiple contacts, services, editing data, the MST works with some or all your students at once! 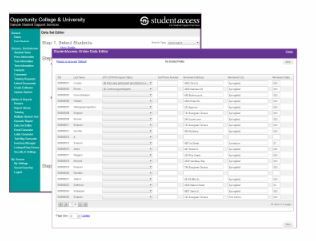 Or use the Data Set Editor to select custom field sets from APR and non-APR fields from across multiple screens and multiple years to quickly update and edit your student data.